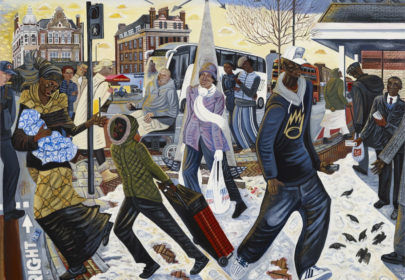 Painter of London life Ed Gray exhibits his paintings of everyday London life. 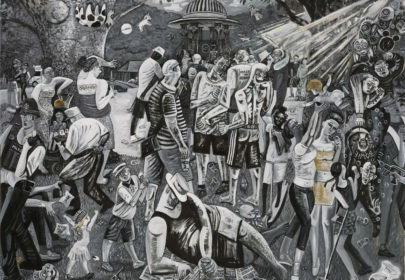 Gray seeks out the spectacular in the ordinary with his sketchbook to create layered panoramas infused with London mythology and the grit of the urban experience. 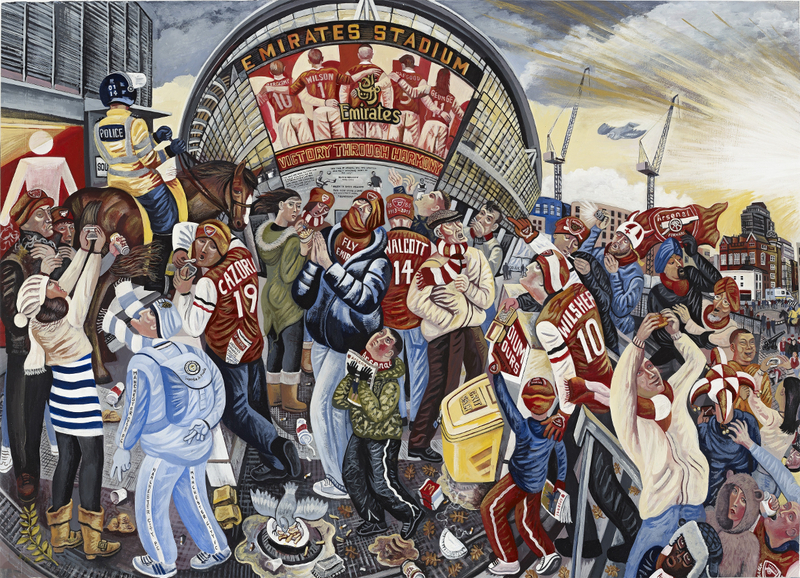 Inspired by his love of The National Gallery’s Renaissance Adoration scenes these are celebratory hymns to the passing city as the familiar is replaced and remodeled. 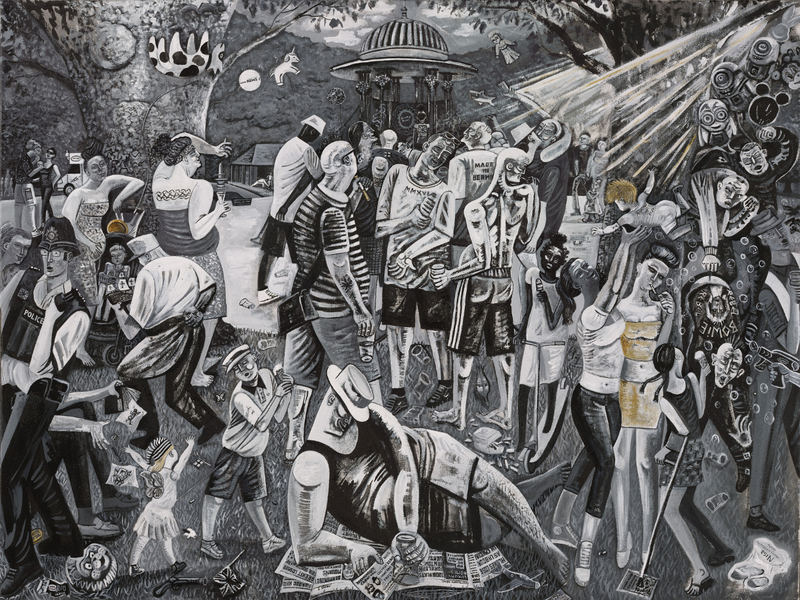 Gray’s paintings celebrate the multiplicity of life and unknowable lives lived within this shifting modern metropolis.